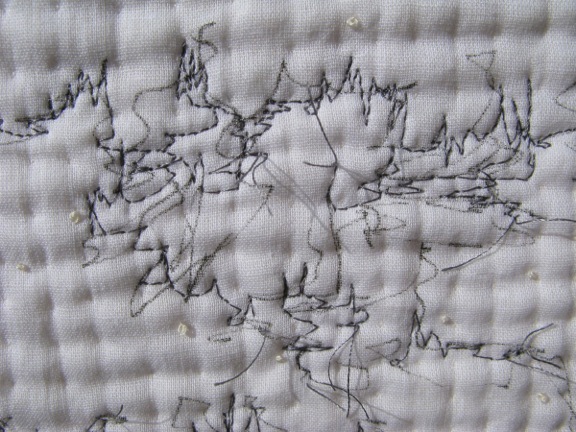 Sometimes it is best to just keep stitching! 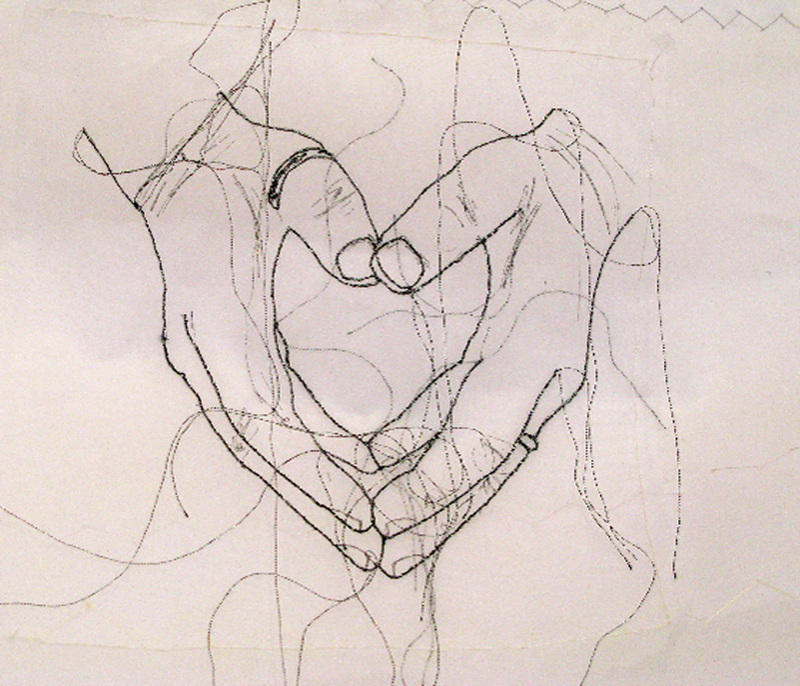 a little help with knots! 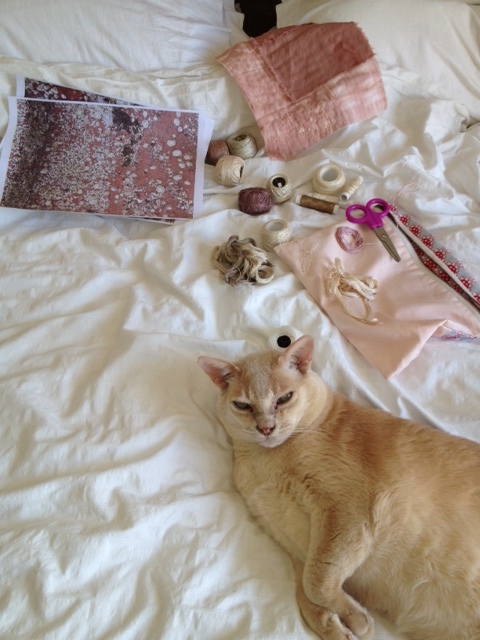 I have begun to work on another ‘inching along’ piece (the quilt challenge) and – how lucky to have some help and companionship! 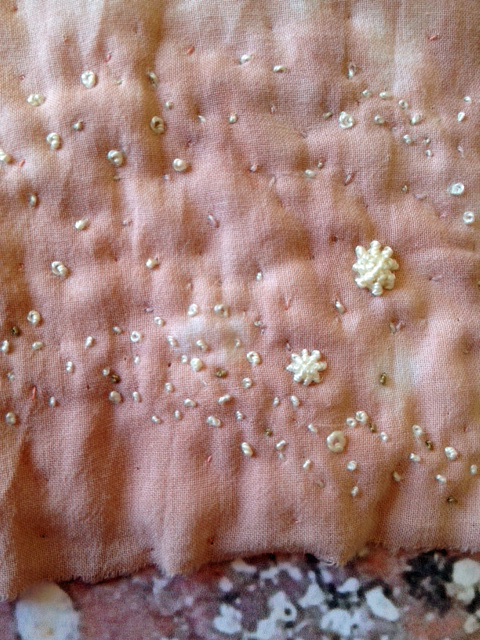 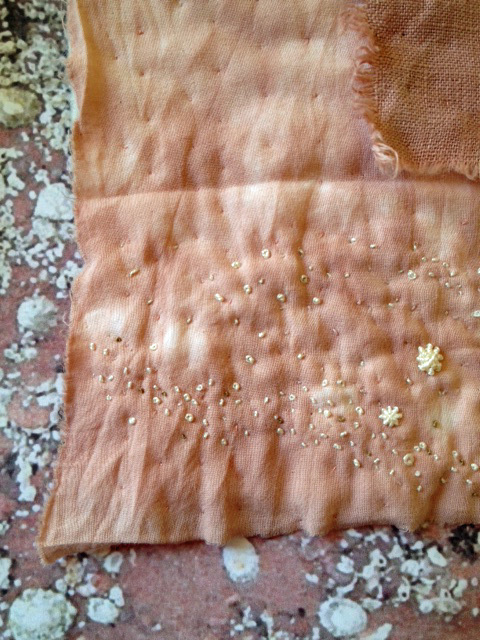 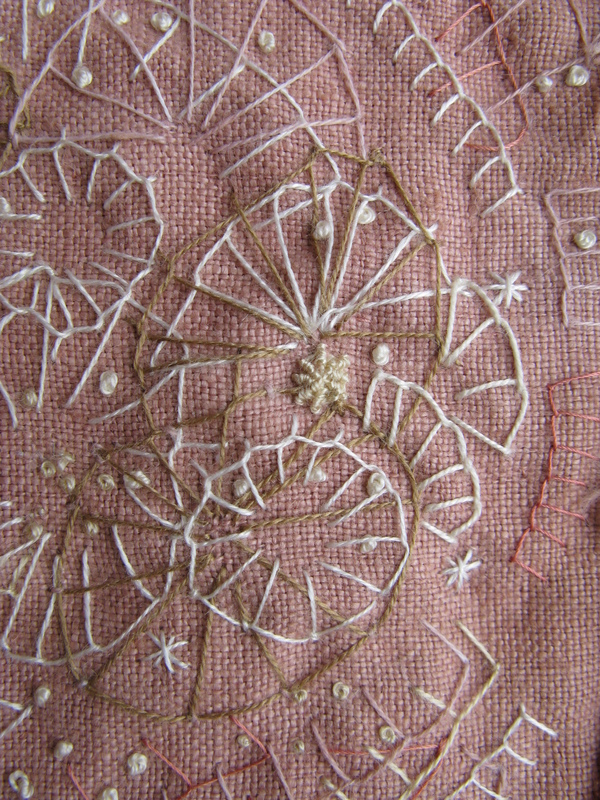 I said last time that, for me, knots are like thoughts somehow, a thought, phrase, verse, a tiny textile prayer or offering maybe – as I make the stitch and the thread turns and forms – and when I feel them beneath my finger-tips too, I sense a spark of connections to memories, ideas, thoughts.. 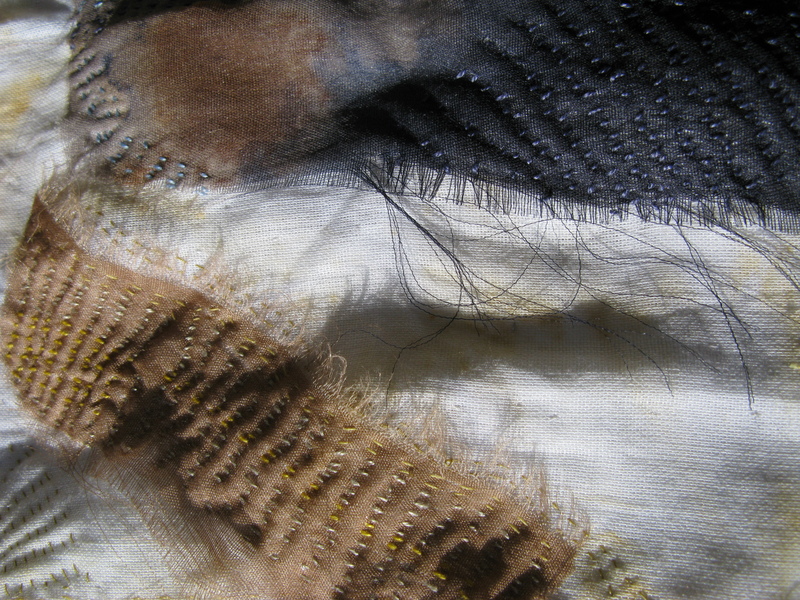 The base fabric is a fine turban cotton which I left out on the beach every night whilst we were away, tied to some rusting old boat bits so it soaked up and imprinted with the rhythm of the tides. 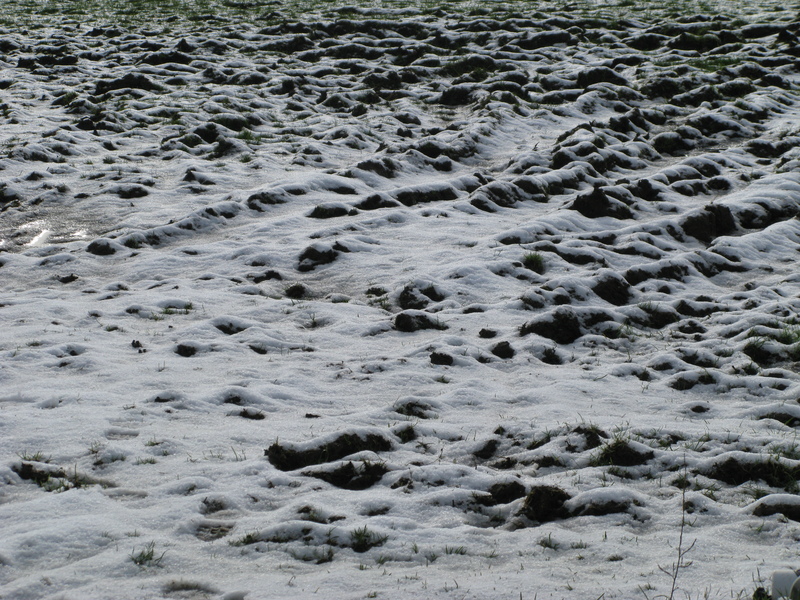 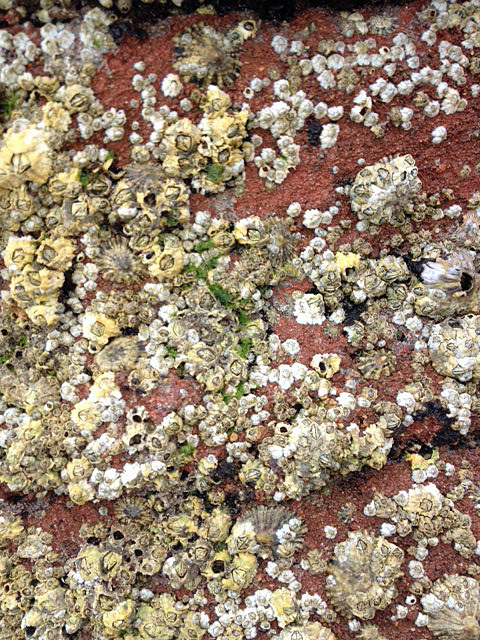 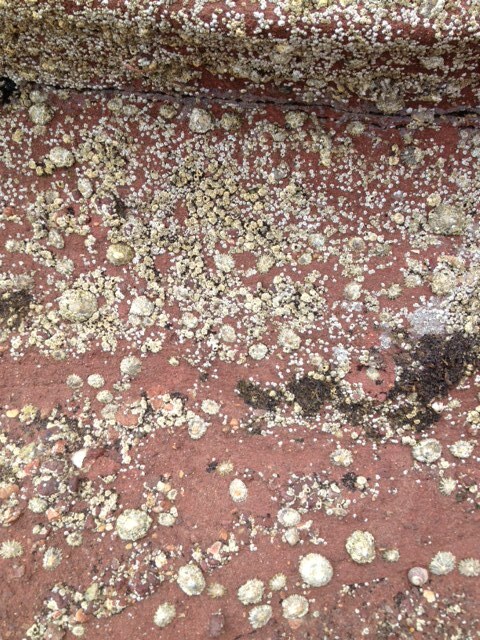 The walking rhythms of the days…noticing the changes to the tide lines… have become stitched patterns and pauses. 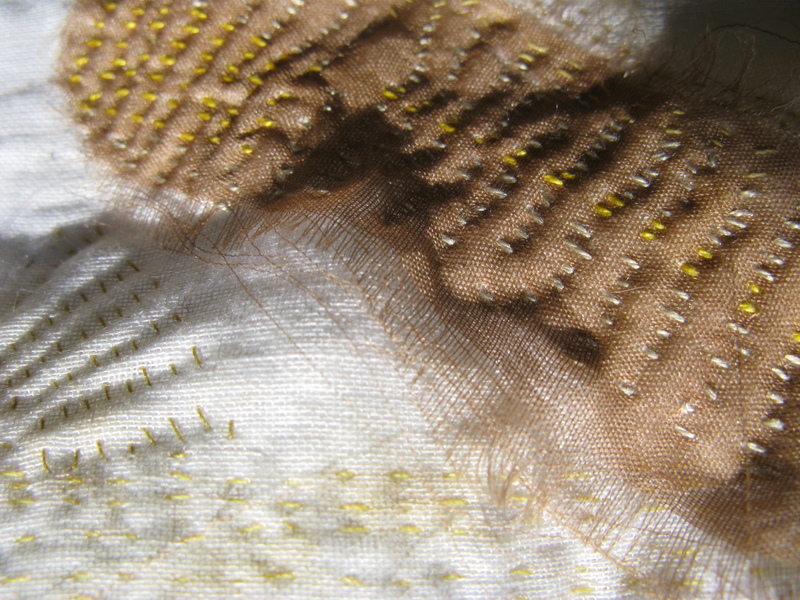 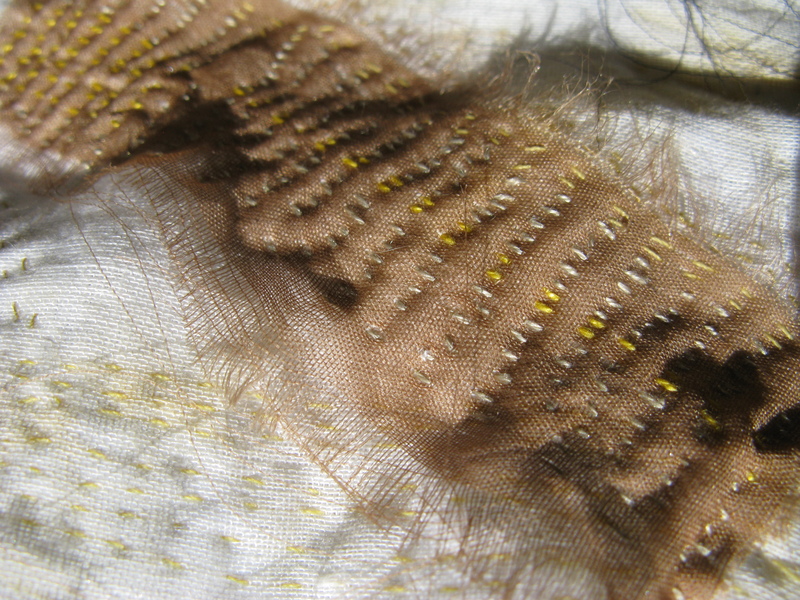 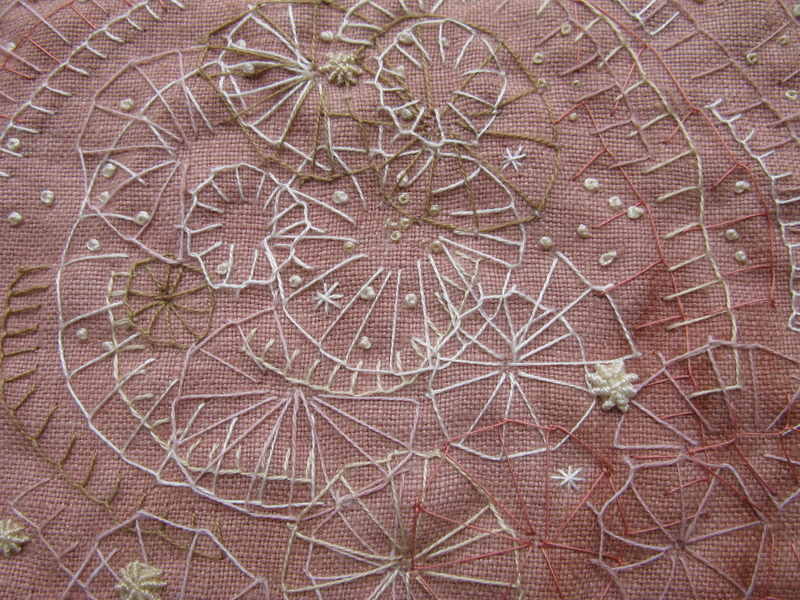 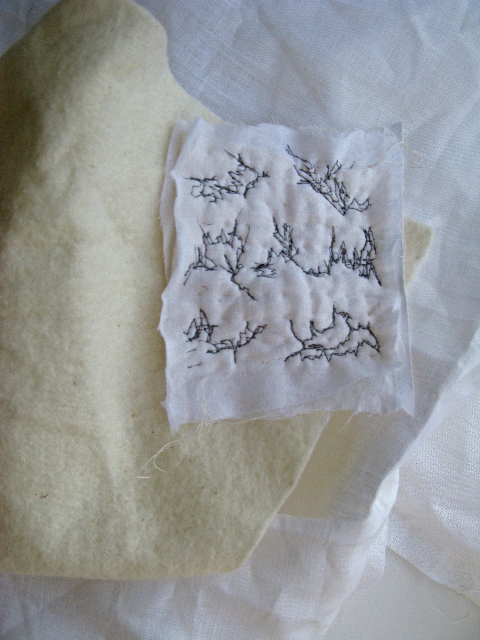 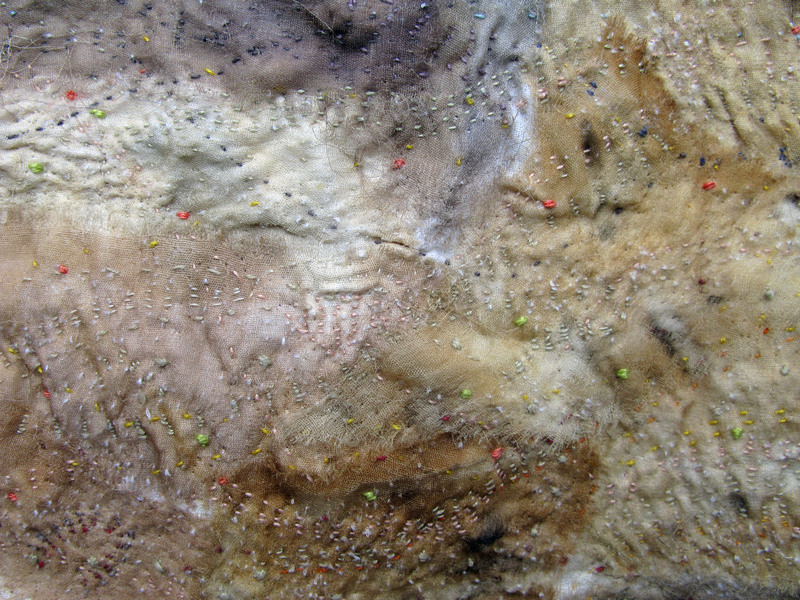 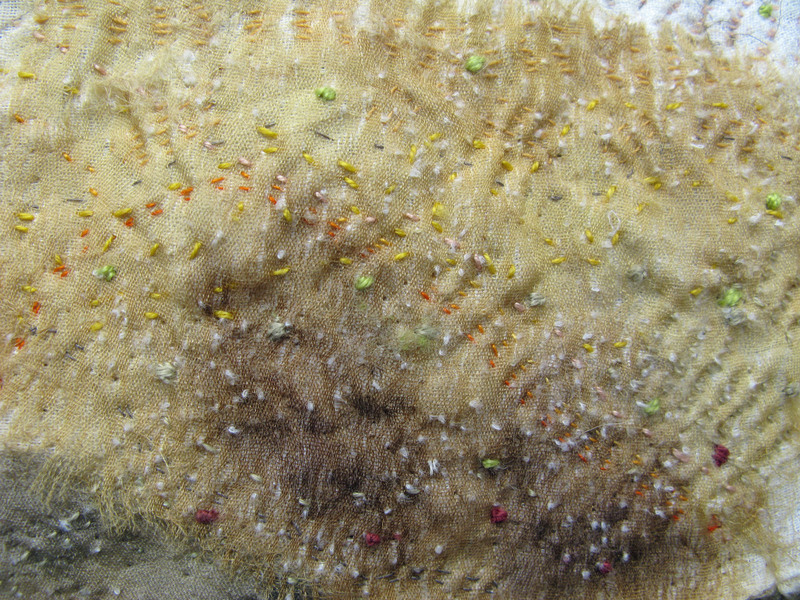 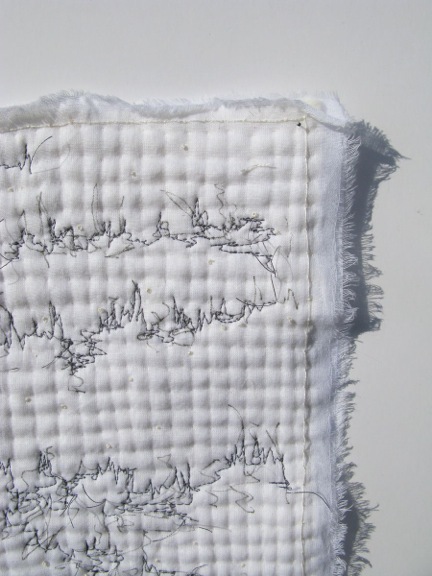 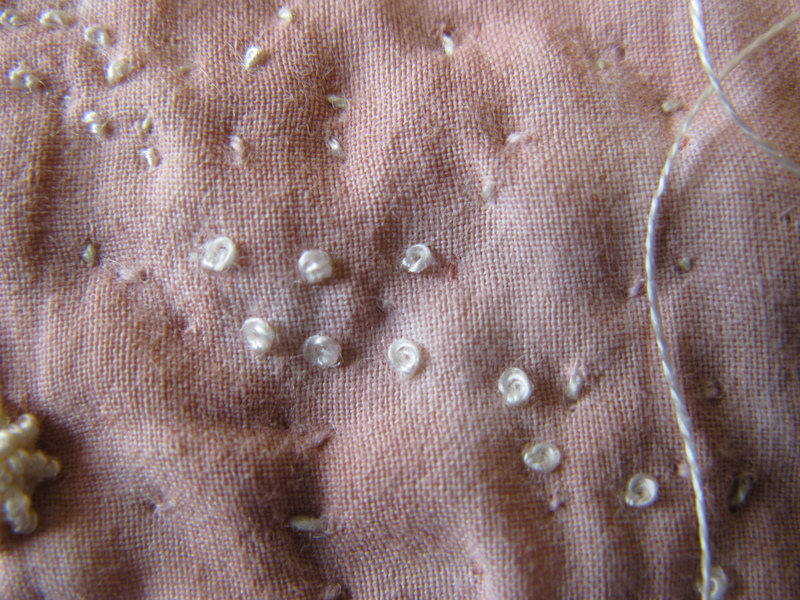 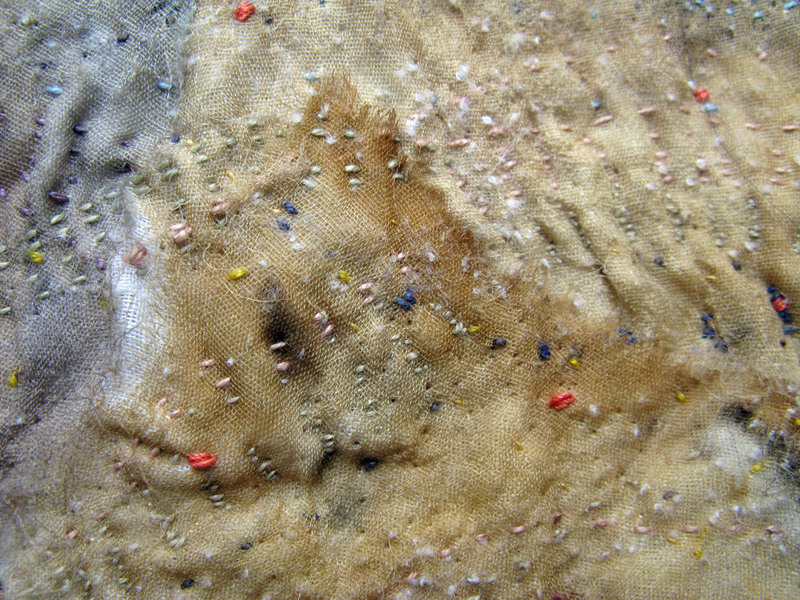 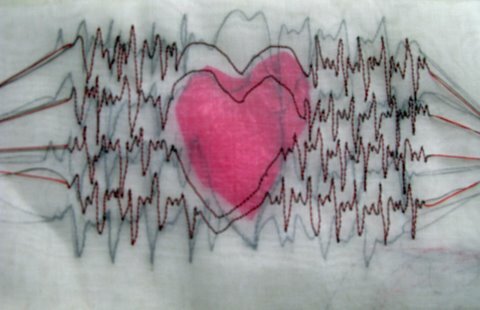 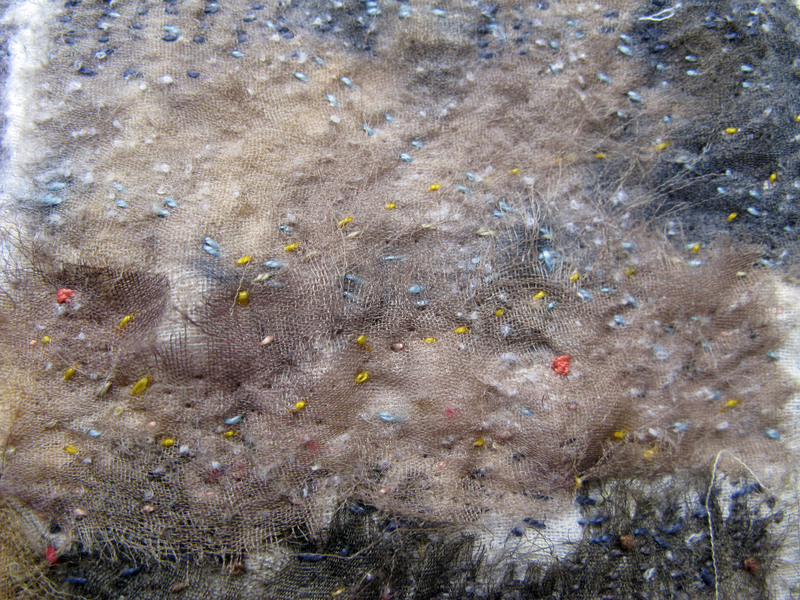 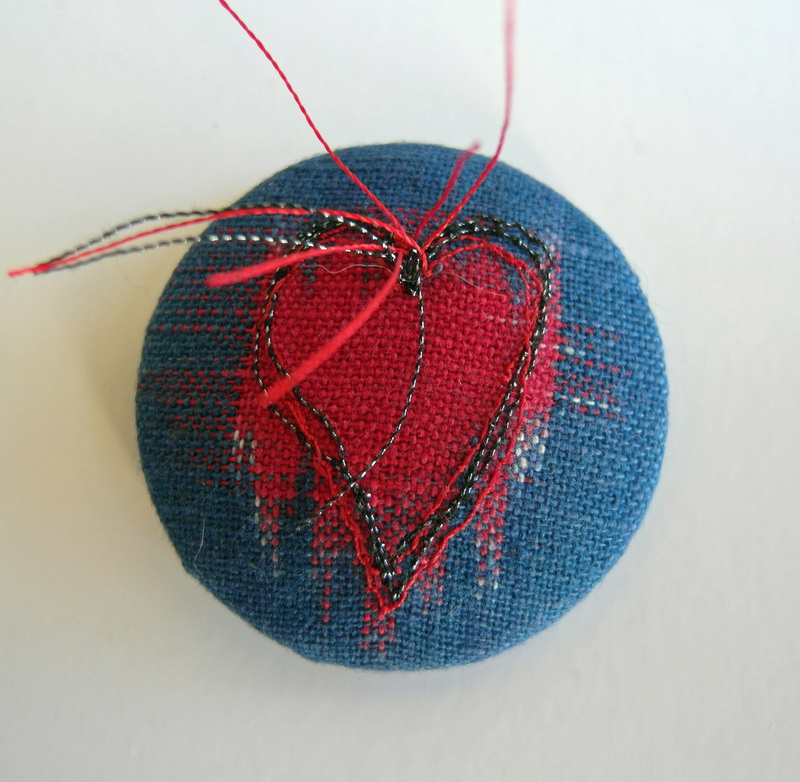 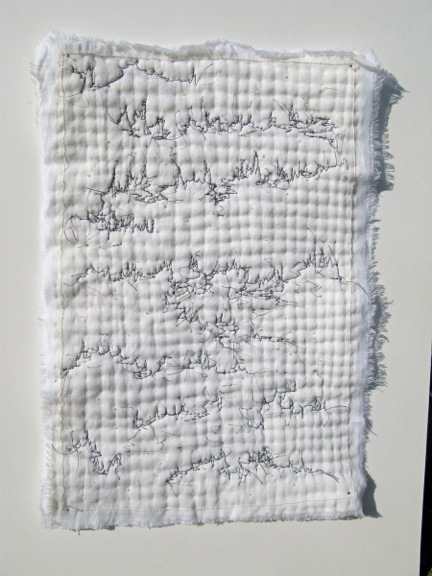 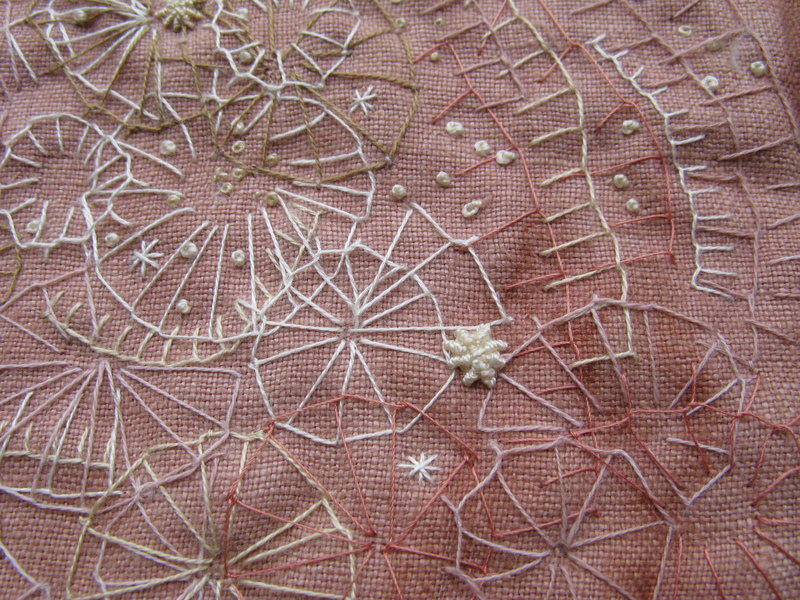 The rhythm of stitching the piece has integrated into the past couple of months and is a practice I want to continue. 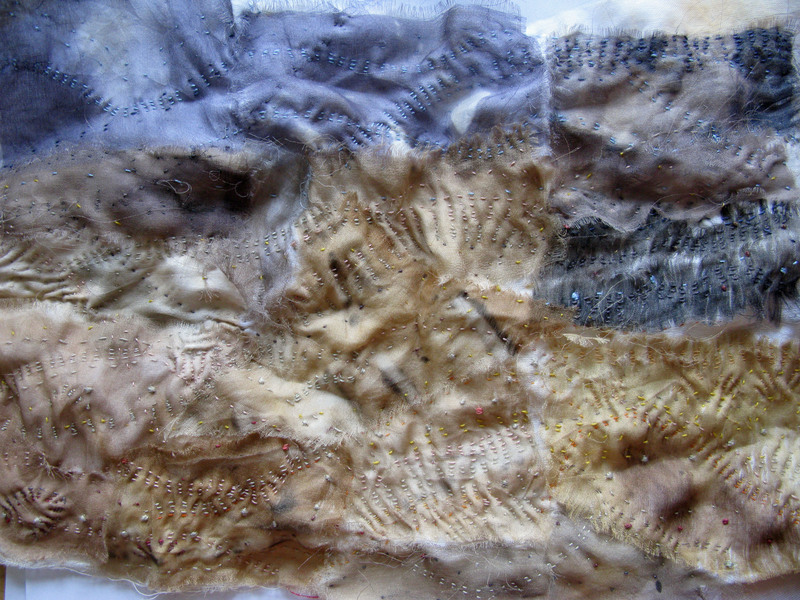 As a piece in reality it is more cohesive and integrated – maybe part of this is enjoying the way photographing the phases of a piece can highlight aspects and enhance them.. 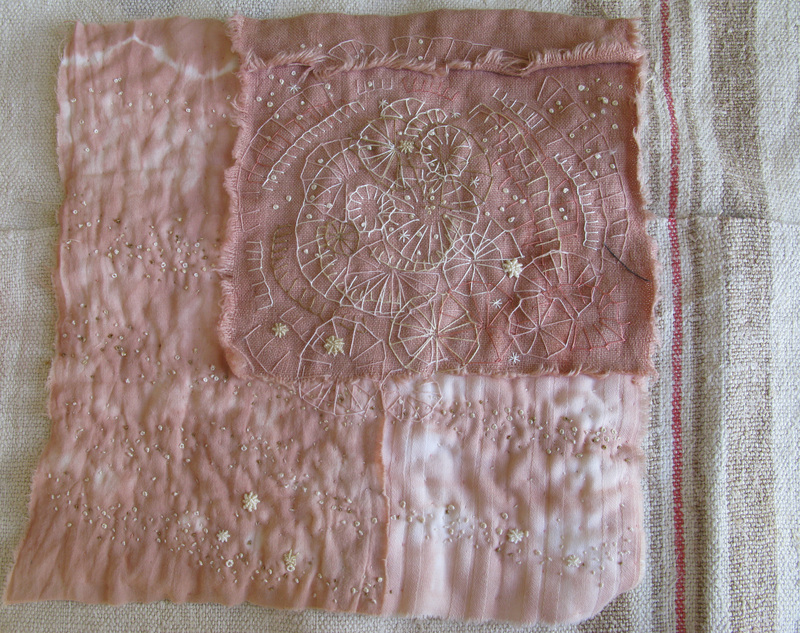 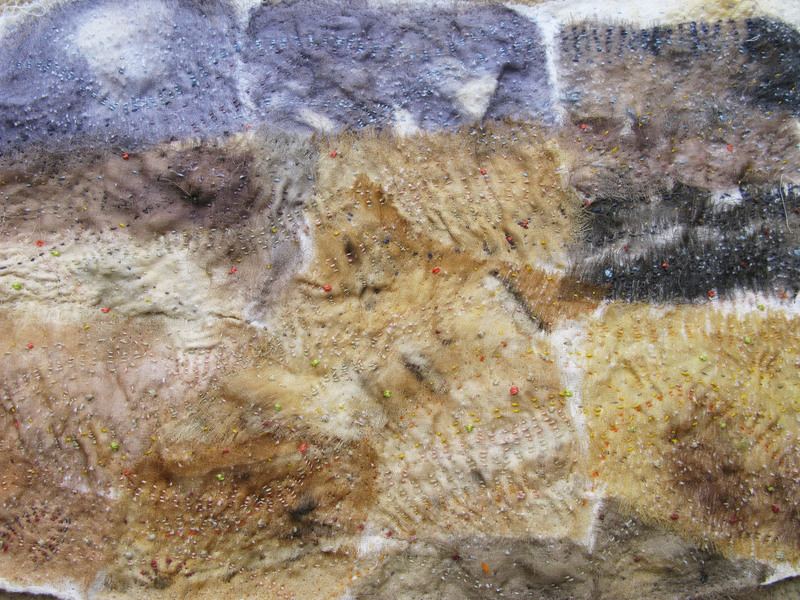 Onto the next quilt piece, the next exhibition, and the next body of work….! 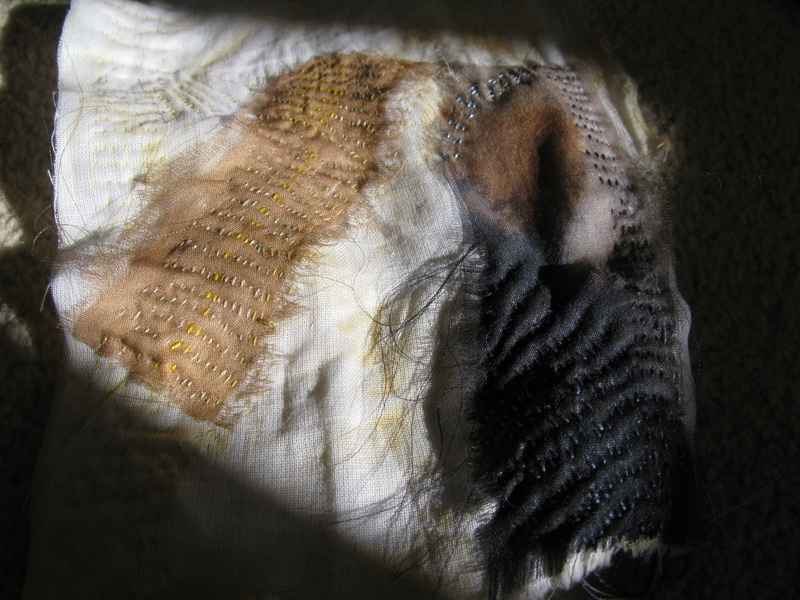 And now, the warmth of special bamboo wadding from Kay, some fine turban cotton the bright white of snow – white silk thread to catch, hold and texture, layers (always layers), and charcoal to bring through the hidden ground.. and some threads loose and waiting..